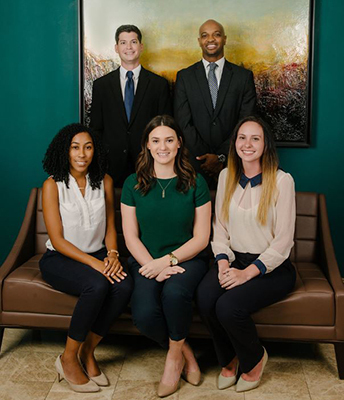 Cedric Powell and his team believe in continually striving toward excellence in all personal and professional pursuits, and particularly in the service of clients who are making some of the most important decisions of their lives. Together they have 20 years of experience and are dedicated to helping each and every client achieve financial security. They work to foster a culture that shares their philosophy and practices it daily. Anything less would be a compromise. Please call whenever you have a question, concern or a need. Cedric Powell and his team are eager to help. Dante joined the Cedric's team in September of 2018 after graduating from Syracuse University in August of 2018. Dante has obtained his FINRA Series 6 and Series 63 licenses along with his Florida Life, Health, and Annuity License. When Dante is not working, he enjoys volunterring at Habitat for Humanity, reading and attending Tampa Bay Lightning games. How can Dante help you? Ryan joined Cedric's team in November of 2015. Ryan was born and raised in St. Pete, FL. Ryan graduated from the University of Florida in May of 2013. Ryan has obtained his FINRA Series 6 and Series 63 securities licenses as well as his Florida Life, Health and Annuity license. On his off time Ryan can be found fishing around the Tampa Bay area, golfing, and spending time with friends and family. How can Ryan help you?